Found 14 file extension associations related to TextMaker Viewer and 1 file format developed specifically for use with TextMaker Viewer. TextMaker Viewer is free document viewer able to open most common document formats from major Office Suits, such as Microsft Office, OpenOffice.org and other. 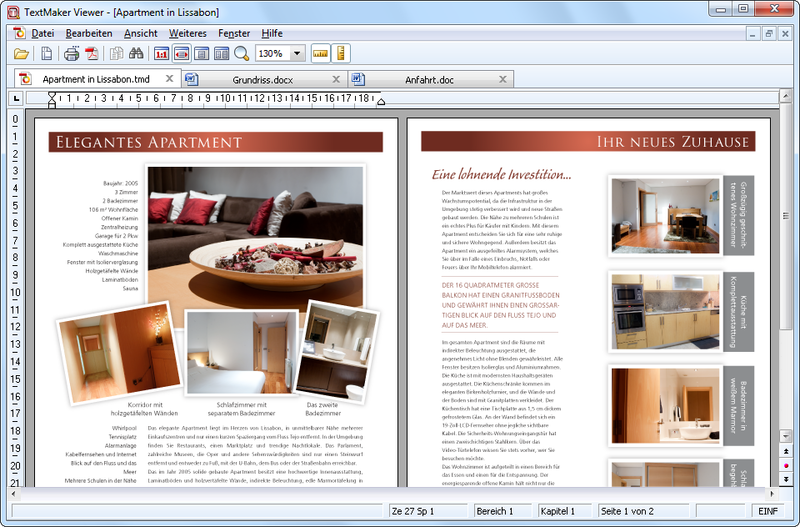 TextMaker Viewer is based on the technology of SoftMaker Office 2010, the reliable and fast office suite made by SoftMaker. If you need more information please contact the developers of TextMaker Viewer (SoftMaker Software GmbH), or check out their product website.